»House, Garden and Dogs»Ambulance, Cell Phones and a Birthday. Ambulance, Cell Phones and a Birthday. A few weeks ago – as you know – Annabell had a fall and was taken to the hospital in an Ambulance. On Monday we received a bill from the Ambulance people ( St. John’s) for a thousand dollars – well actually $997 to be exact. Fortunately my Medical Insurance covers this so they will pay it. This is the first time – ever – we have used an ambulance and the cost kind of shook me a little. True they were very kind and really did look after her so I have no complaints regarding the service, but I did think nearly a thousand dollars was a tad heavy. I could have flown to Glasgow, London, or Paris for less. She is much better now and almost back to herself with a few additional pains for her trouble. would take Benji to the Wetlands to make up for not walking in the morning. I was in bed by 11:00 and woke up looking up at the skylight expecting to see daylight. I did not. So I got up and checked the time – 05:41 and had I set the alarm it would have gone off at 05:45. I got dressed got Benji ready and we went out on our morning walk. Sometimes you just can’t win. You are probably wondering why I didn’t see the time on the clock – I don’t have a clock. I use my Mobile (Cell) Phone as my alarm, and I do not keep it near me. It is starting to get really cold in the mornings so I think it’s time I laid aside the Baseball Cap and started with the Beanie. The long range weather forecast is for very little rain but for colder than usual mornings and evenings, so the Beanie and gloves. But things change and one can never be sure who to believe as another report says that there will be no rain but the forecast will be for warmer than usual mornings and nights. Anyway, for the moment it’s the Beanie. One of the sites I go to put some photographs of sunset over her area and it reminded me of the photographs I took here. Mind you my camera is probably not as good as hers but I think they came out not too badly. I’ll put one in the next post and you can decide. Although having said that some friends recently visited Washing DC and sent photographs. I asked her what camera she was using and she floored me by telling me she was using her cell phone. The clarity and quality was amazing. She was using a Samsung. This iPhone is the first Apple phone I have ever had. I have always been with Samsung and it was a sudden rush of blood to the head that made me pick Apple, so I am stuck with the decision for two years. However, as soon as the contract has expired I will be going back to Samsung. Connor, our one and only grandson, is a year old today. Nothing much happening since it’s Saturday and there are games to be played – netball for the girls – Hockey for Andrew. However, tomorrow Andrew is having a Barbecue at Wilson Park, which only a short walk from his house. After church on Sunday, I took Annabell home and let her get changed – I changed into slacks and a heavy pullover and we drove up to Wilson Park. It was very well attended and I found it good fun. Sadly Annabell was not at her best, but we looked after her and she was not left out of anything. I think she did enjoy herself despite not being able to walk around. Andrew very kindly walked back to the house to get a seat for her. It was, as I said, fun, but very much a chocolate overload :o) We stayed until the sun started sinking and moving away from where we were. By then Annabell was cold and I got a blanket from the car for her and about 2:45 we left and came home. Today (Monday) Benji and me went out for our morning walk – it was cold and very misty with visibility down to about 20 or so feet – less at the top end of our walk. I think winter cometh. According to our news here there have been a number of serious fires in Colorado. Yes I know it’s a big state, but I did think about the family and hoped you were all safe. 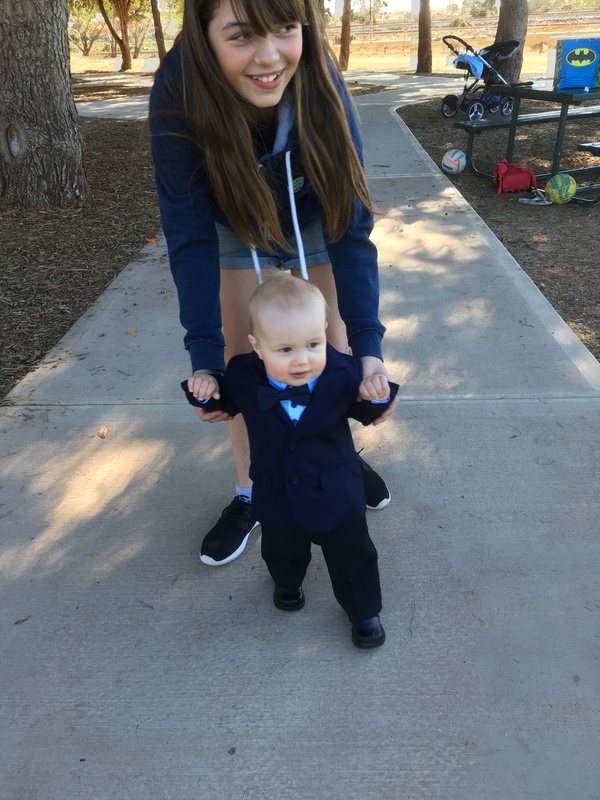 I must send you the latest photograph of the Mini-Godfather. We are safe. The fires are in the southern part of the state and are serious. We send oodles of poodles of thoughts and prayers for those affected as well as the firefighters. Looking forward to that photo! Long live The Godfather. Happy Birthday to Andrew! He is adorable! Glad Annabelle is doing better. It is amazing how much some of the medical services cost! Thank you. Annabell is improving but thank goodness for medical insurance. I know. I don’t know how people manage without it. Yes it was a hefty bill but considering how they looked after her, it was worth it. Never been in an ambulance and have no desire to do so right at the present time :o) Thank you for your positive thoughts for Annabell. Happy (belated) birthday to young Connor. I’m sure he had a great time. Thank goodness for our NHS – I know you didn’t have to pay this bill up front, but not everyone would be able to afford good insurance if we had that system here. 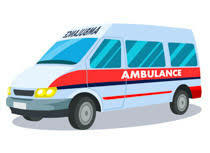 I have only ever travelled by ambulance once, in America. I fell and hit my head and was taken in to check for concussion. We gave all our insurance details but no bill ever appeared! I thought maybe it was too small for the hassle, but now I suspect not. Yes, it took me a while to get used to it when we first came here. Health Insurance is good, but it can be expensive depending on what you include in your cover. I have never been in an ambulance and I also suspect the American ambulance fee would not have been small.